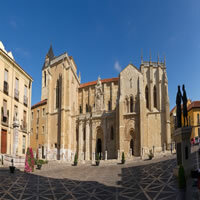 A historic enclave on the Pilgrim's Road to Santiago de Compostela, León is a astonishing city, combining spectacular historical architecture with an alluring energy. The Pulchra Leonina (the Sistine Chapel) of Spanish Romanesque architecture and the old Hospital de San Marcos are the key points of this former Roman encampment. What was the Roman Legio VII Gemina Pia Felix preserves an interesting Romanesque, Gothic and Renaissance legacy, the result of its splendor during the Middle Ages. The Plaza Mayor forms the center of this city. Among this baroque collection of buildings stands the City Hall, popularly known as the "Balcony of the City", since from its galleries the nobles observed the town's activities taking place. Next to the City Hall is the neighborhood of San Martín, built around the square and the church of the same name with small palaces and large houses such as the Casa de las Carnicerías and the Palace of Count Luna. Dotted around these streets are bars and restaurants where you can sample the best of the region's gastronomy and which have made it worthy of the nickname El Húmedo. By night León is taken over by its large student population, who provide it with a deep-into-the-night soundtrack of revelry that floods the narrow streets and plazas of the picturesque old quarter, the Barrio Húmedo. 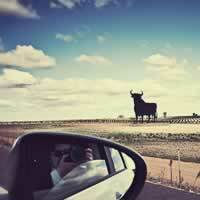 Focus your visit to Spain around the historical central plains. 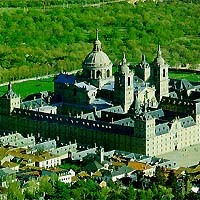 Visit Madrid, Toledo, El Escorial, Segovia, Avila, Salamanca, Zamora, Leon and Burgos. With a rent a car. 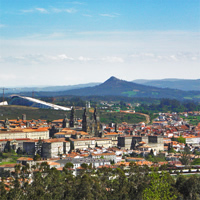 Concentrate your visit to Spain following the steps of the pilgrims on the Way to Santiago. Combine Lisbon, Fatima, Porto, Santiago Compostela, Leon, Madrid, Toledo, Granada, Cordoba, Seville, Albufeira and Faro with a rent a car. Everything good. Thanks for your pleasant service.